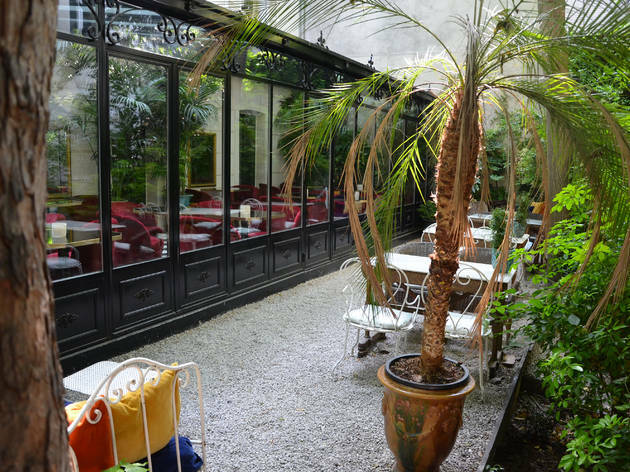 Tucked away behind the Montmartre hill, with rooms priced at €400 a night, the luxurious Particulier Montmartre hotel bar is a favourite with in-the-know Parisians. Visitors have to jump through quite a few hoops just for a drink at the bar, proceeding down a private-access street and through a series of intercoms and buzzers before finally reaching the hotel garden. 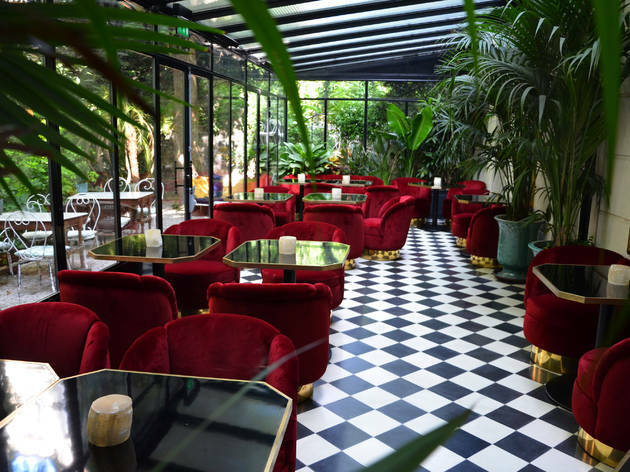 Designed by Louis Benech (who also renovated the Tuileries), this lush enclave feels more like a forest thicket than a garden, with its towering trees, wild ferns and patches of creeping ivy. The service is discreet and attentive (as it should be in a hotel of this calibre), while the clientele is an unusual mix of well-heeled older guests and trendy youth. 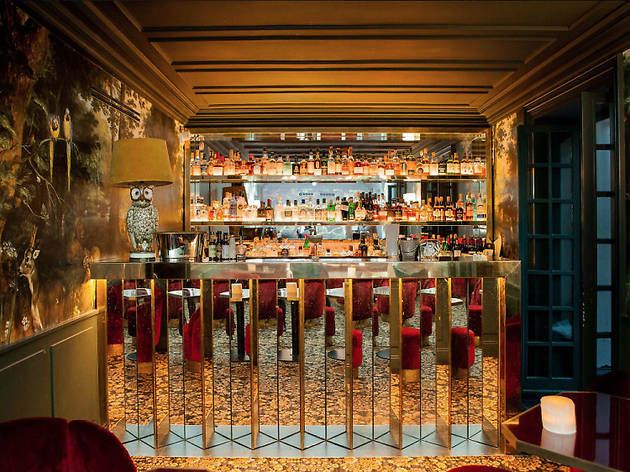 Once inside the magnificent old building, you head past the restaurant and a small library (complete with hunting-trophy-mounted fireplace) to Le Très Particulier, an intimate lounge and sun room. Tea is served in the afternoon, cocktails (the real draw) after 6pm. Drinks are fresh, handmade and daring, without being faddy. Try the Egoist (thyme and lemon-infused gin, homemade camomile syrup, pineapple, lemon bitters, smoked tea) or the Laura Palmer (Americano Cocchi, Mastica, absinthe, lime juice, white sugar, sage). 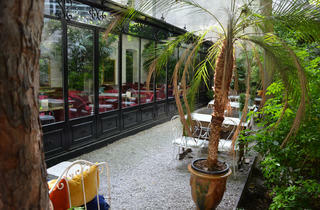 In this exclusive garden, it’s hard to believe you’re drinking in central Paris. 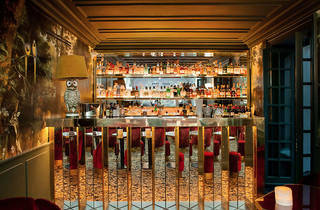 But luxury, naturally, has a price: wine by the glass is from €7, cocktails from €13 and champagne from €14. If you’re three or four, a pitcher of punch is a nice alternative. Really private cocktail bar and restaurant in the heart of Montmartre in Paris, you’ll only find the Tres Particulier if you know where you are going. 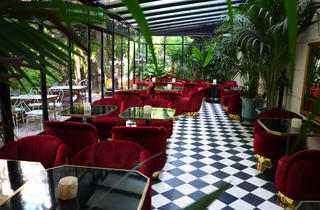 Established in a Parisian Hotel Particulier, this bar is serving high quality cocktails and delicious food. The foie gras is divine and I especially enjoyed the seafood ravioli. If you are not sure which cocktail to go for, ask the barman for recommendation based on what you like. He would be happy to mix a cocktail according to your tastes. Don’t forget to book or you won’t be able to access the place!